Does your family members cringe when they hear household chores? Thumbs down every time?! It could be different! In case you’re short on tricks in your sleeve, here’s some more for you! 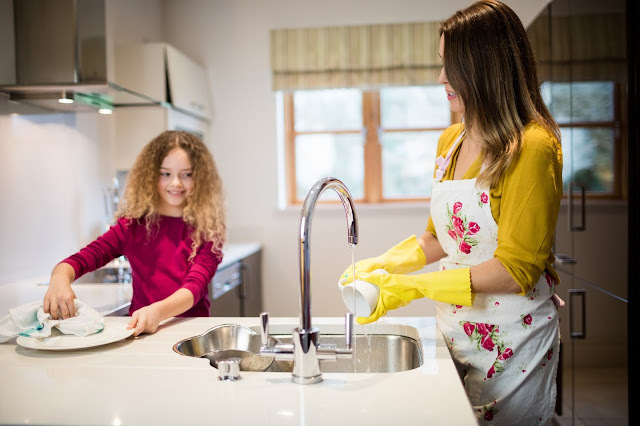 Enjoy our ideas how to inspire your family to help out with housework. How much spare time you have to spend with your family? Unfortunately, nowadays most people would say ‘not nearly enough’. We lead a hectic lifestyle that doesn’t give us the opportunity to enjoy the company of those most dear to us. Isn’t that a shame? You have to do something about it! Why don’t you all unite forces to clean your home and the reward would be a family vacation! One helpful steal time technique courtesy of us! Do you reluctantly engage in a hide and seek game with your family whenever housework rears its ugly head?! We say, make the most of the situation! Make it a thing! If they want to play, let them! Of course, first you have to tweak the rules a bit. Instead of looking for one another, seek cleaning duties! Whoever finds more chores to do and finish them before anybody else, wins! Fun! We know, we know…. There are host of other things you would rather do instead of chores! Like maybe lying on the couch and watching Discovery or the Crime Network Channel? Organize yourself a hunting trip or investigation of a crime scene! Why not?! Some of you might look up to the people they watch on TV! Then there’s your chance to get into character! You can even dress for the part! Follow the tracks of chores and have yourself a rich catch! Investigate those dirty patches like a laboratory rat and you’ll do your seasonal cleaning more thoroughly than ever before! Does your home have a birthday?! It’s time for you to pick a date if the poor thing doesn’t have one! It’s giving you and your family shelter and this is enough cause for celebration! What if you were a beggar? Then you would bless any building that would provide roof under your head! Think about that! Return the favor and come together to honor your home by cleaning it! Talking about causes for celebration, do you know that World Compassion Day is a real thing?! And it’s amazing! Make your own version of this festivity. 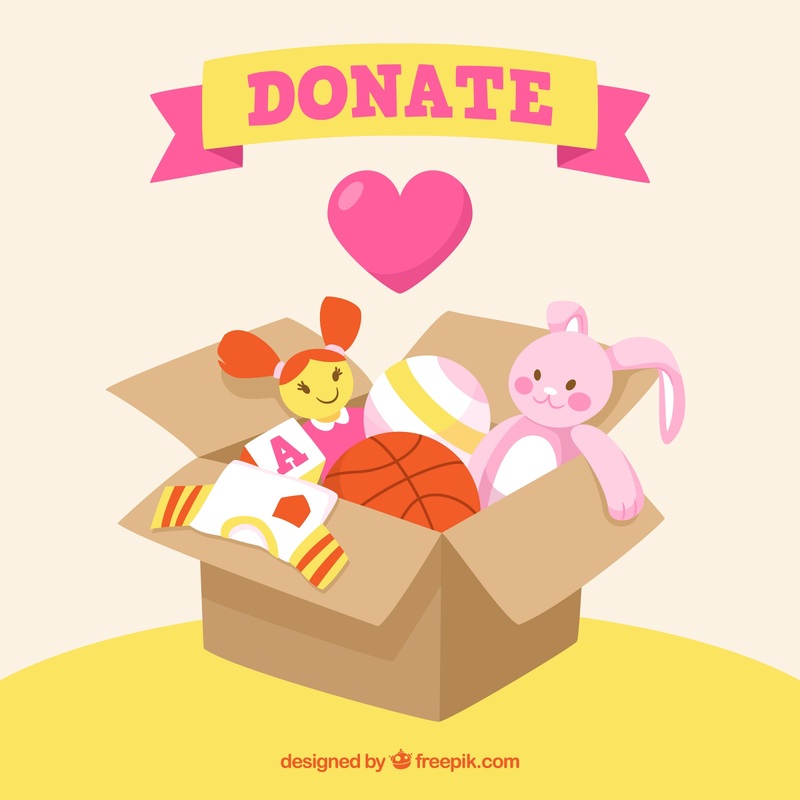 Make it a day for donation! Round up the family and ask each of them to go through their stuff and decide what they can spare for the less fortunate people. It’s a chance to de-clutter your home and with that reorganize your possessions and achieve an apple-pie order for once. But the real important thing is that you would show how your actions can have a positive impact on others. Your family members would be reminded that all people on the planet are one big family and we need to support each other! Emotional intelligence 101! Oh mother, oh father... Holy guacamole in general! So it’s not enough you HAVE to actually help with chores because as it turns out it’s your obligations too, but now you have to do exercises while at it?! It’s not that bad at all! Come on, it’s going to be fun! Where’s your fighting spirit?! A family that trains together, stays together! It’s a golden opportunity for the parents to pass some valuable knowledge to their kids regarding their body care. Besides, this way you’re teaching them some multitasking skills! You’re going to show your kids how to keep a good shape and how to clean properly and then how to do the two things at the same time. This is useful on a second degree!